This is the 4th in my series of OnStage Atlanta swap cards that I made. 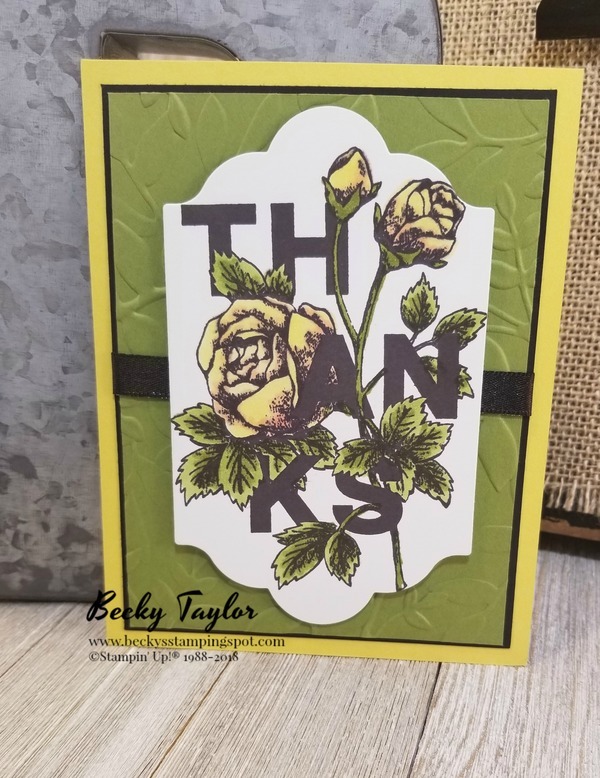 This card uses the Floral Statements stamp set. I wanted a rose that mimicked a rose that grows in my garden--yellow with pinkish, coral accents. 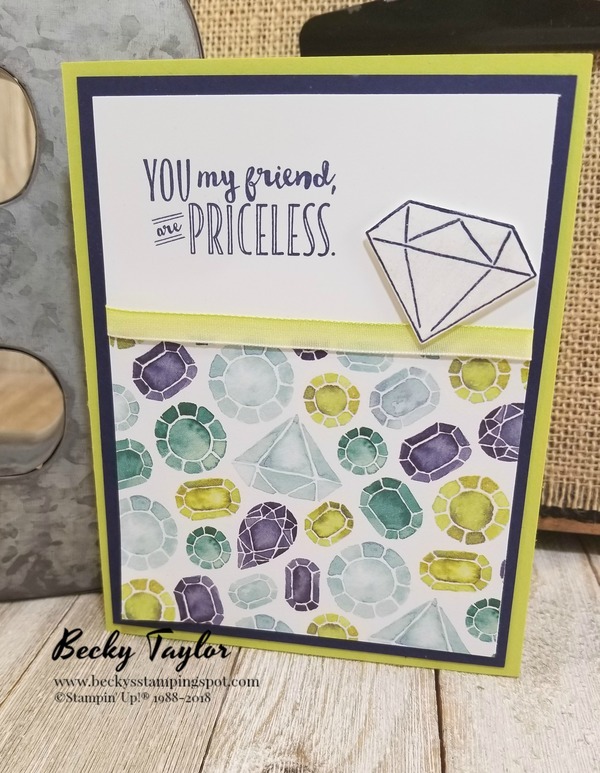 Using my Blends I was able to duplicate that look! 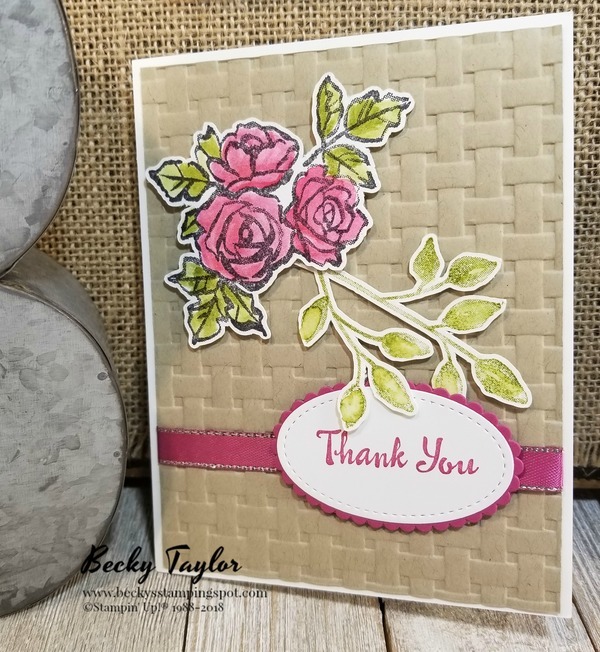 The embossing folder makes a 3-D look and is gorgeous! REMINDER: Many of the items in the Last Chance (Retiring) store and the Clearance Rack are either sold out or with very limited supplies left. Order now if you truly want any of these products.